Just imagine the surprise when you open your letterbox and you receive a personalised postcard made out of cork. This is a mailing that will definitely have the required effect. The best thing is however that there is an adhesive strip on the back of the postcard and when you remove the paper on the back of the postcard you can use it as a pin board. Ask for a sample of our new and as always patented creations. Lailing using Real Sand - As one of our recent innovations we have developed a sand post card for a TUI mailing. Real sand is used on the strand picture and the result is spectacular. The response quote for 70.000 copies is over 9%. The grass box was developed while searching for alternative fibre materials. So, without competing with food crops and improving technical properties, a new packaging with emotional appeal was created, and this in particular impressed the jury. The shoe box submitted consists of 51% of the innovative material GRASPAP, as well as 49% waste paper. Grass has all the basic properties that are necessary for the production of paper and therefore can be used in addition to waste paper and pulp in the future as a third component of raw material in making carton. Our Tea light luminaries bring coziness into any room. 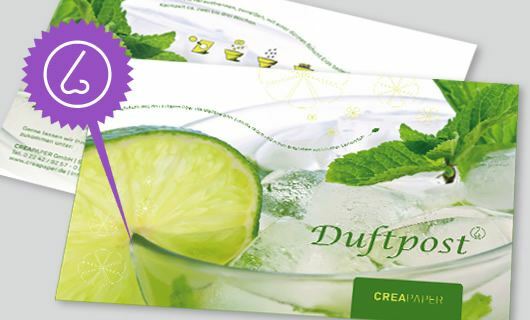 As they can be customised with your individual ideas and sent out flat they make an ideal mailing enhancer. Give a present of light, warmth or even enlightenment. 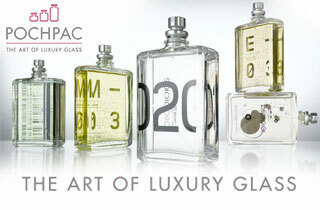 You can be sure that with or without a special occasion your customer will be delighted to receive such a gift. We have already given you some suggestions for the packaging of the roll-up candles; a perforated cardboard packaging, transparent banderole or even a detachable candleholder – the sky is the limit.